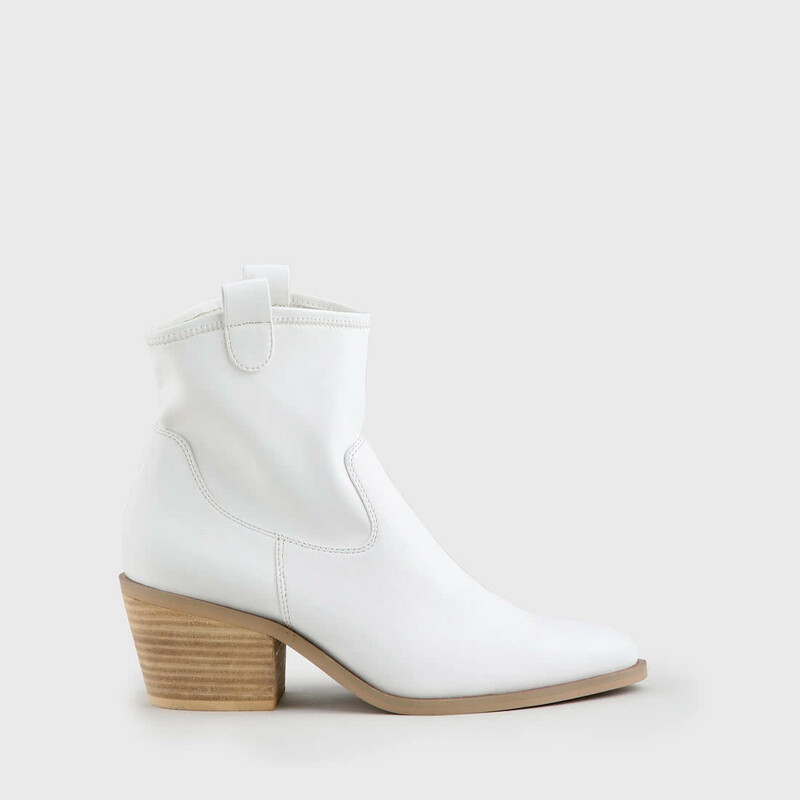 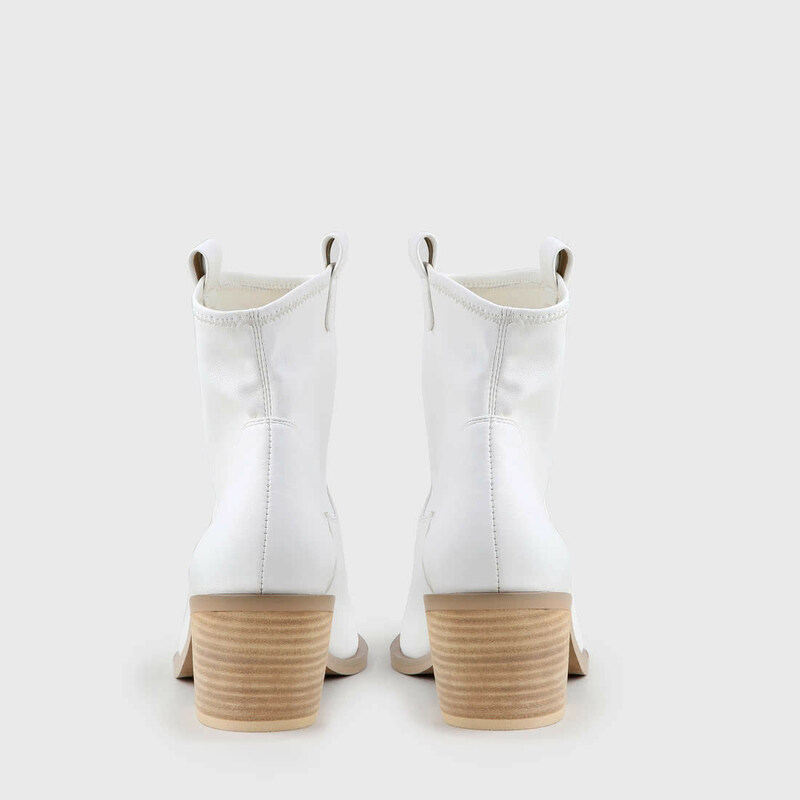 The Abigail bootie combines the popular Western look with a clean white look. 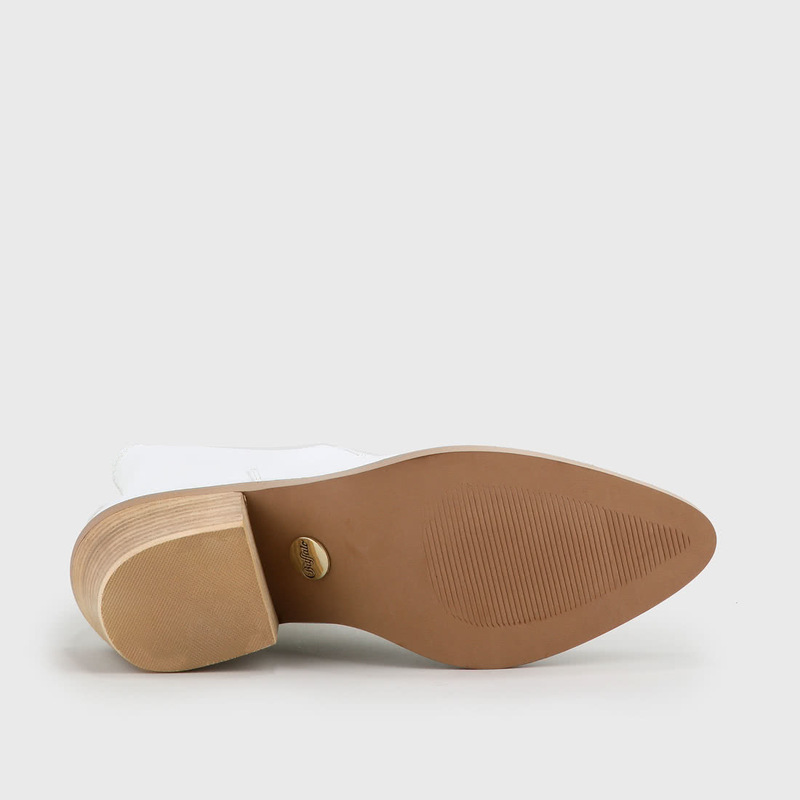 This extraordinary combination is not only visually impressive, but it also ensures that both block heel and elastic upper provide enough comfort. 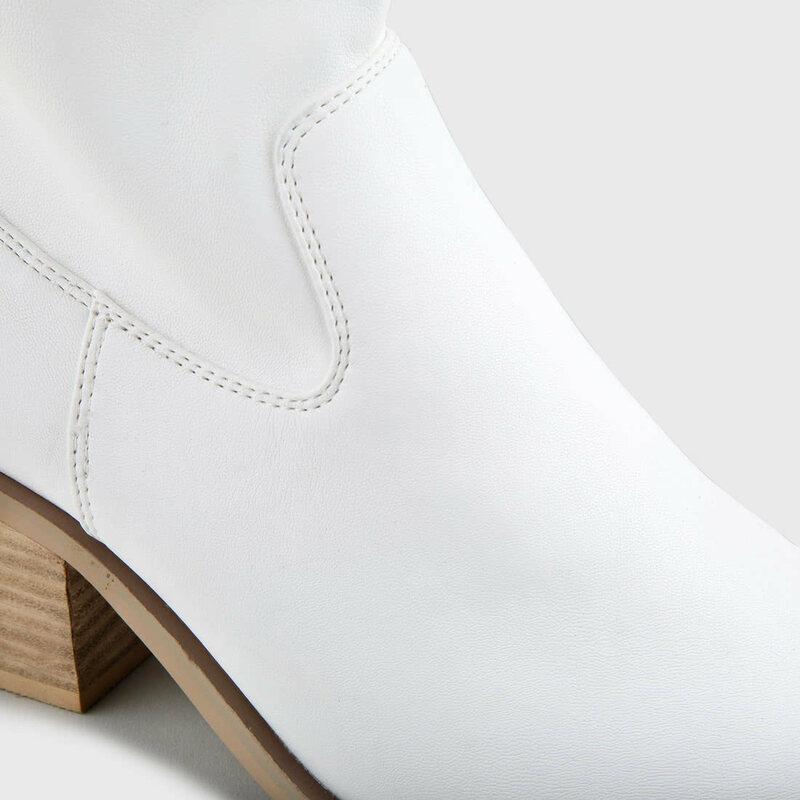 As a styling tip: this extravagant bootie is particularly cool when combined with cropped jeans or shorter, straight dresses.